Has the cold or flu been leaving you feeling run down or tired lately? Can’t seem to find the energy to be at your best? Are you recovering from a recent or long standing injury that doesn’t seem to be healing very quickly? Your lymphatic system may be tired or over worked. Having a lymphatic massage may be just what you need to give your body that extra immune boost and head on down the road of recovery. 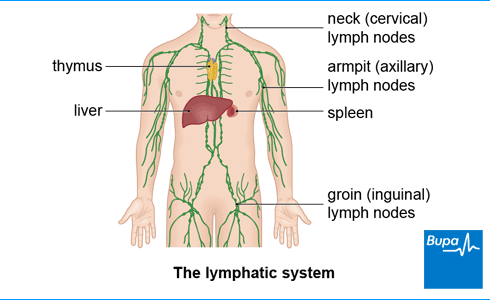 What is the Lymphatic system and what does it do? Our lymphatic system is an important part of our immune system and acts like an alarm system by filtering through a set of natural drains and watersheds all over our body. Lymph is actually derived from the more liquid portion of our blood called plasma. When our heart beats it puts pressure on the vessel walls which causes leakage of plasma to be released. This plasma is absorbed into the lymphatic vessels and nodes close by and thus refiltered at a slower pace back into the bloodstream. Have you ever had swollen or tender lymph nodes? When we get a cold or flu our lymphatic system alerts our body of the presence of an intruder through our lymph nodes. This then relays a message to our body’s immune cells to fight it off. Like all drains, however, they have their limit and can become overloaded or backlogged. Want to book a massage? – We would love to hear from you.